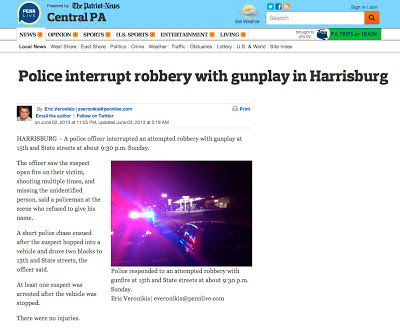 If anyone can shed more light on this story taken from PennLive, then please do. 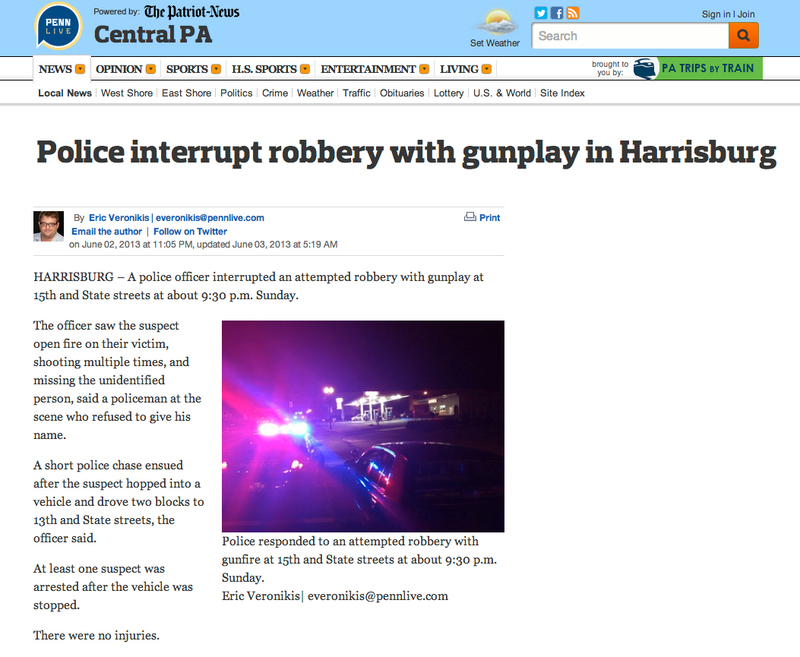 But first you're going to have to explain exactly what the term gunplay means because neither I nor Cris (@CRISis73 on Twitter), who brought it to my attention, have a clue. And who's doing the gunplaying? The Cop with no name or the hopping Robber?